The International College of Hotel Management (ICHM) Adelaide has produced graduates of the highest calibre that work at all levels of management within and outside the international hospitality industry. ICHM was the first and remains the only official Swiss Hotel Association (SHA) school in Australia, the world’s oldest hotel industry body. Today, ICHM is owned by Charles Darwin University (CDU). CDU is ranked 31st by Times Higher Education in its 2016 rankings of the best 150 universities in the world aged less than 50 years old. 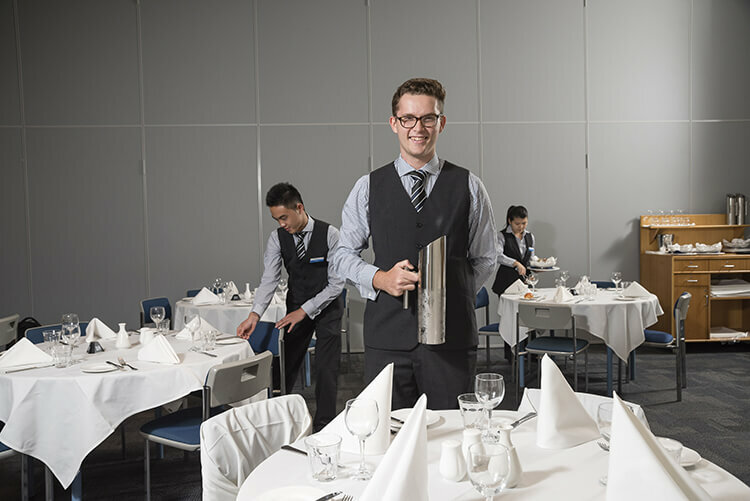 To complete their undergraduate degree program – Bachelor of Business (Hospitality Management), students spend six months each year studying full-time on the campus; the second six months of each year they are sent for industry placements in Australia or even overseas. While on campus, students study an advanced business program applicable to hospitality environments as well as other related industries. ICHM now invites its graduates and graduates from other programs to join their Master of International Hotel Management (Swiss Hotel Association); designed to provide participants with an opportunity to develop advanced knowledge, allowing them to apply their leadership qualities in important decision making processes and manage change. ICHM graduates are on every continent enjoying successful careers; working as supervisors and specialists through to senior and general managers.